5 Best A2 Hosting Black Friday Deals 2019 - Starting From $1.98/mo! 5 Best A2 Hosting Black Friday Deals 2018 – Starting From $1.98/mo! Black Friday is the time of the year when there are huge discounts on hosting services. There are many hosting providers that offer huge discounts during Black Friday. But, A2Hosting is offering different offers this Black Friday 2018. In this article, I’ll show you the 5 best A2Hosting Black Friday deals for 2018. 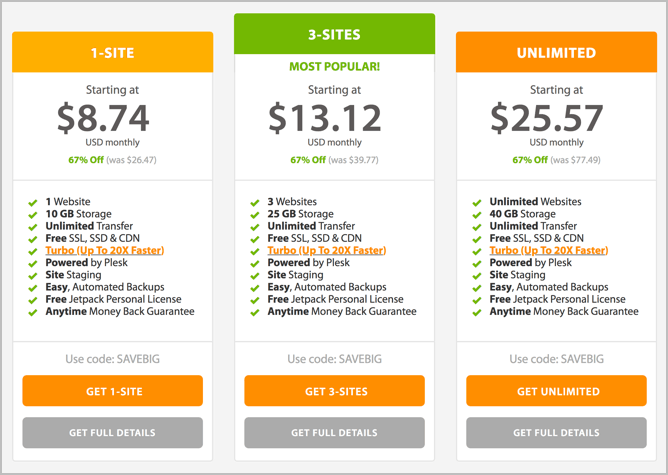 These 5 deals by A2Hosting are really great and perfect for you to buy a web hosting and start your website. A2Hosting Shared Hosting plans are 67% off during Black Friday 2018. 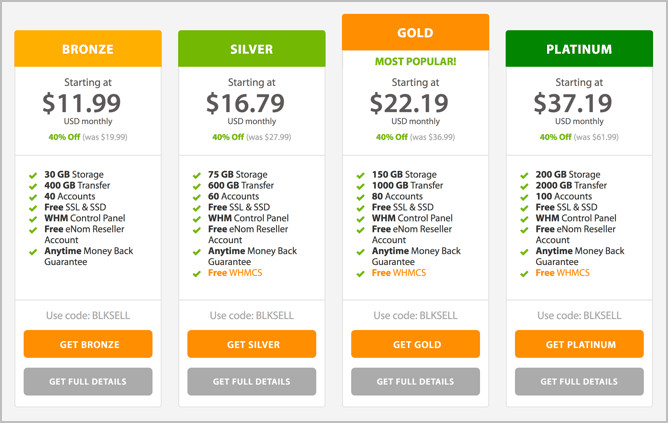 With this deal, you can get shared hosting at just $1.98 per month. 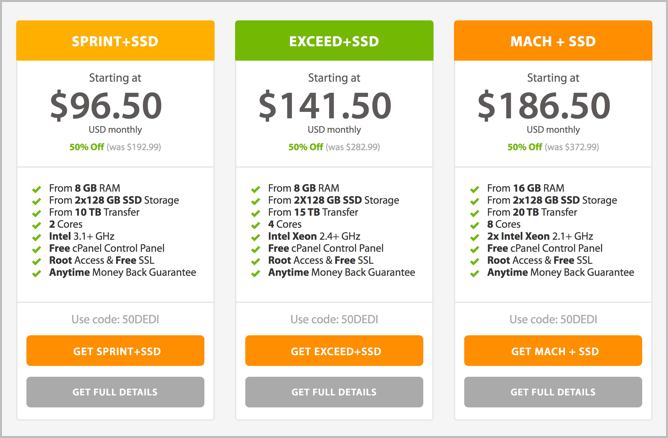 The shared hosting plans for A2Hosting normally starts at $3.92 per month but this Black Friday deal is offering a big discount. A2Hosting shared hosting is one of the fastest shared hosting services out there as their servers are 20x faster. These ultra-reliable servers can deliver high performance with a 99.9% uptime commitment. There are three plans in A2Hosting shared hosting service. The most basic Lite plan will cost $1.98/month during Black Friday. With this plan, you can host 1 website and you get unlimited storage, 5 databases, free SSL, and free SSD storage. The mid-tier plan lets you host unlimited websites and comes with all the features included in the Lite plan. But, this plan providers 2x more resources thereby delivering a much better performance. The Turbo plan which is the last tier in A2Hosting shared hosting plans provides all the same features but uses the Turbo servers which are 20x faster. 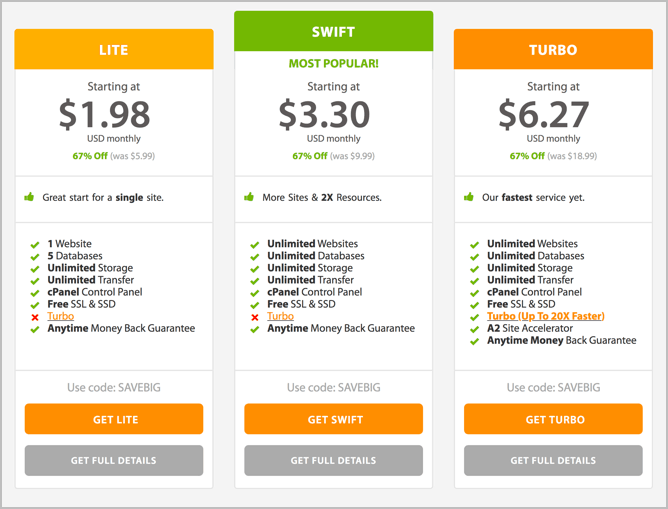 I’d recommend the mid-tier Swift plan as it’s quite affordable and also lets you host unlimited websites. If you’re looking for a managed WordPress hosting, then A2Hosting is the perfect match for you. All A2Hosting Managed WordPress hosting plans are 67% during Black Friday 2018. The 1-site plan provides you with 10GB SSD storage, unlimited transfer, free CDN, free SSL, automated backups, and free Jetpack personal license. If you want to host just 1 website, this plan is my recommendation. But, if you want to host multiple sites, then their 3-site plan is more preferable. It comes with the same features but provides 25GB of storage. The unlimited sites plan is also a good option if you want to host more than 3 websites. This plan also has the same features but provides 40GB of storage. A2Hosting Managed & Core VPS hosting plans are 50% off during the Black Friday 2018 sale. All of A2Hosting VPS plans offer free SSL and SSD storage. The managed VPS hosting comes with root access. Power+: The Power+ plan comes with 4GB RAM, 75GB storage, 4vCPUs, 2TB transfer, and free cPanel. 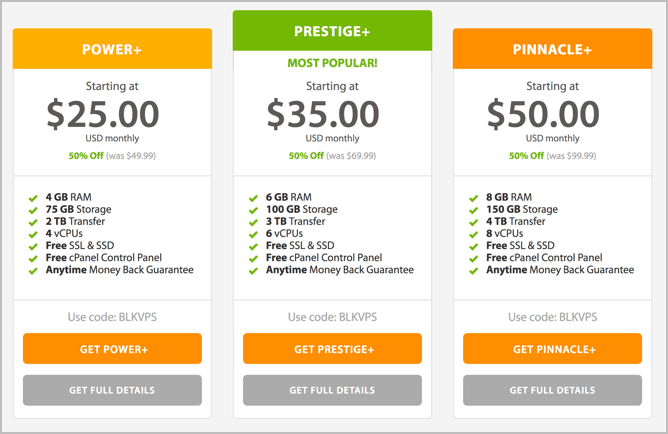 Prestige+: The Power+ plan comes with 6GB RAM, 100GB storage, 6vCPUs, 3TB transfer, and free cPanel. Pinnacle+: The Power+ plan comes with 8GB RAM, 150GB storage, 8vCPUs, 4TB transfer, and free cPanel. All these plans are really good but since it’s Black Friday, I’d recommend the Prestige+ plan. The reason why A2Hosting is offering the best Black Friday 2018 hosting offers is that they’re not just limited to shared or WordPress hosting. They are offering discounts on all kinds of hosting solutions. That being said, A2Hosting is offering a 40% discount on all their reseller hosting plans. There are four tiers of A2Hosting reseller hosting solutions. Bronze: The bronze plan comes with 30GB storage, 400GB transfer, and 40 accounts. Silver: The silver plan comes with 75GB storage, 600GB transfer, and 60 accounts. Gold: The gold plan comes with 150GB storage, 1000GB transfer, and 80 accounts. Platinum: The platinum plan comes with 200GB storage, 1000GB transfer, and 100 accounts. Spring+ SSD: This plan comes with 8GB RAM, 2x128 GB SSD Storage, 10TB transfer, 2 Cores, and Intel 3.1+ GHz. Exceed+ SSD: This plan comes with 8GB RAM, 2x128 GB SSD Storage, 15TB transfer, 4 Cores, and Intel Xeon 2.4+ GHz. Mach+ SSD: This plan comes with 16GB RAM, 2x128 GB SSD Storage, 20TB transfer, 8 Cores, and 2x Intel Xeon 2.1+ GHz. So, those were the 5 best A2Hosting Black Friday 2018 deals. But, why should you choose A2Hosting over other hosting providers? The turbo servers used by A2Hosting are 20x faster than normal servers which results in fast loading speed of your website. A2Hosting gives a 99.9% uptime guarantee and they live up to the expectations as their high-performance servers do not experience any downtime. You can back up your data easily with A2Hosting. Their regular backups ensure the security of your data. If you purchase hosting from A2Hosting, you get 24/7/365 support. No matter what problem you’re facing, the support team is very responsive and is always present to assist their customers. Another great reason to choose A2Hosting is that they provide free SSL and CDN. While many hosting providers now provide free SSL, A2Hosting is one of the few that also provides free CDN along with a free SSL certificate. No matter what hosting you’re using currently. A2Hosting helps you migrate your site to their servers for free. Testing A2Hosting is completely risk-free. The anytime money-back guarantee allows you to test their service and decide if it’s worth using. That’s all about A2Hosting Black Friday deals 2018. Black Friday sale starts on 23 November 2018 and you’ll not have much time to grab this deal. If you don’t want to miss this deal, bookmark this page to access it quickly. And, if you have any questions about this Black Friday hosting deal, feel free to comment below. Namecheap Black Friday & Cyber Monday Deal 2018 – 99% OFF! HostGator Black Friday Sale 2018 – Up To 80% OFF! 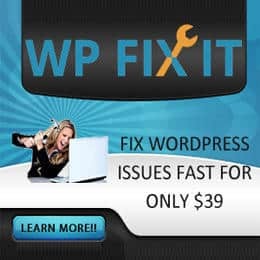 WPX Hosting Black Friday Sale 2018 – 95% OFF & Free 3 Months! Bluehost Black Friday Sale 2018 – Starting From $2.65/mo!